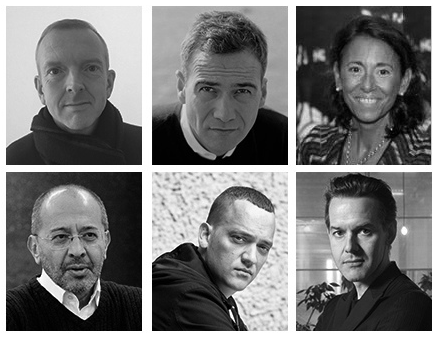 Nicholas Baker, Andrea Bellini, Nathalie Mamane Cohen, Haldun Dostoğlu, Gregor Hose and Marc-Olivier Wahler. Der Wettbewerb der beiden Messen für zeitgenössische Kunst in Istanbul wird immer spannender. Bisher waren westliche Besucher eher irritiert von der oft allzu folkoristischen Ware auf der Contemporary Istanbul. Die junge Konkurrenz Art Internatonal Istanbul ist dagegen weitaus westlicher und in unseren Augen qualitativ höher angelegt – wird aber von deutlich weniger Interessierten und Käufern besucht. Jetzt hat die CI ihr Auswahl Kommittee für die 11. Ausgabe vom 3.-6. November im Istanbul Congress Center veröffentlicht – und die ist interessant in der ungewöhnlichen Mischung aus Galeristen, Akademiker, Sammler: Nicholas Baker, Andrea Bellini, Nathalie Mamane Cohen, Haldun Dostoglu, Gregor Hose, Marc-Olivier Wahler. Auf welche Kriterien sich die wohl einigen werden, wie sich diese Liste wohl auf die Auswahl auswirken wird, ob es weiterhin die knallbunte Deko-Etage geben kann? Andrea Bellini has been the director of the Centre d’Art Contemporain Genève since 2012. He has previously been co-director of Castello di Rivoli, director of the art fair Artissima, curatorial advisor at MoMA PS1 and editor in chief of Flash Art International. Nathalie Mamane Cohen is an art collector. After more than 20 years occupying senior positions in investment and private banking, including Executive Director of Banque de Neuflize in charge of Private Banking, she re-focused her career toward her passion, contemporary art. Born in Ankara in 1951, Haldun Dostoğlu graduated from the Middle East Technical University Architecture Faculty in 1976. After working as an architect between 1976-1984 in Ankara and Philadelphia, in 1984, he established Galeri Nev with Ali Artun, opening Istanbul Galeri Nev in 1987, organizing more than 230 exhibitions at the gallery. Gregor Hose is the director of the KÖNIG Galerie, which participates in international art fairs such as Art Basel, Frieze Art Fair, London, FIAC, Paris and Art Basel Miami Beach. Marc-Olivier Wahler, curator, art critic and historian, is the founder and director of Chalet Society in Paris, an exhibition space that goes beyond the white box and delves into ideas, education, creation and collection within a community space.